Editor Shawn Waggoner provides an overview of profiles on hot glass collaborators Jenny Pohlman and Sabrina Knowles, independent artists Peter Houk and Shaun Conroy, warm glass artist Susan Hirsch, stained glass artist Nancy Gong, and glass pioneer Milon Townsend. She also reminds readers that there are endless possibilities in the way we make art. While their sculptured forms evoke the sensuous curves of the feminine, Jenny Pohlman and Sabrina Knowles provide a narrative that embraces our common humanity. Drawing on inspiration from day-to-day life, travel, and studies of ancient and contemporary cultures, the artists have blazed a trail as women working in hot glass through their cutting-edge artwork. The National Endowment for the Arts (NEA) has approved a grant of $15,000 to Pratt Fine Arts Center in Seattle, Washington, to support the center’s Master Artist and Artist in Residence programs. Pratt honors the memory of its founder by making art education accessible to people of all ages, backgrounds, and skill levels. A new research residency program for artists will allow them to have access to the permanent collections and the holdings of the Rakow Research Library. Named for Corning’s former executive director, the David Whitehouse Artist Residency for Research will enable artists to be in residence to explore these materials. 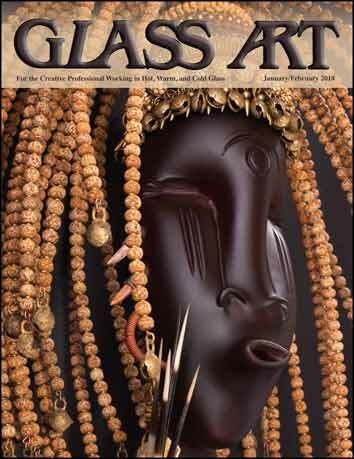 The island of Murano will host the 47th annual Glass Art Society (GAS) conference. This location will provide members with exposure to the island’s remarkable history while exploring the future of glass and discovering hidden routes connecting the conference venues. The heart of the conference will be the historic Santa Pietro Church. Creativity is a restless seeking to discover, explore, solve, and uncover the new. It is also the ability of humans to come up with new ways of solving vexing problems and provides all of us a set of tools that we can access to find inspiration as we give birth to new ideas. Through the course of over 45 years, Milon Townsend has produced a vast body of work, from perfumes and paperweights to one-of-a-kind sculpture. Whether his current flameworked glass art or a narrative piece from his Body Language series, Townsend’s objects pay homage to form, balance, and harmony. 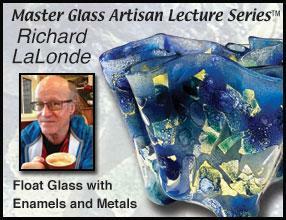 The Contemporary Glass Society (CGS) is launching new online courses for glass artists that can be accessed worldwide. These professional development programs were specifically aimed at both new and more established glass artists who want to develop their businesses and marketing skills, make more sales, and upgrade their level of professionalism. Peter Houk and Shaun Conroy explore ways that glass stimulates the senses through sound and light in their work with the MIT Glass Band. Houk, serves as glass artist and director of the MIT Glass Lab, and Conroy, glass artist and scientific glassmaker, uses his expertise to create musical instruments for the band. Photography by Karen LaMonte, Tim Thayer, and Richard Goodbody Inc. The Toledo Museum of Art launched a celebration of the critical contributions made by generations of female glass artists. More than 50 stunning objects by women who now rank among the most innovative and celebrated glass artists in the world are featured. These objects bridge the fields of art, craft, design, and sculpture. Coming from a family of glassmakers and being the daughter of a glass grinder, Magdalena Paukner knew that she would work in glass when she stood in front of a glass furnace for the first time. 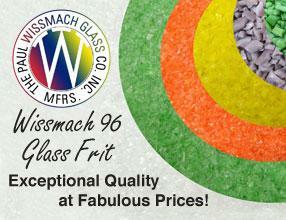 A member of the Professional Association of Artists of Lower Bavaria, she works as an independent glass artist. Susan Hirsch came to glass art from a fine arts education and a 30-year career in advertising and design. She has operated her 1,800-square-foot studio for eight years and says that diversification is key to financial viability. Her business model incorporates the lessons she learned during the economic downturn and recovery. Redrawing designs digitally gives artists a chance to enhance their designs and make any corrections needed before an actual piece is created for a client. Helpful steps include making a sketch of the design, putting the various parts of the design in a digital version, and making color printouts of the assembled parts. The Kay Bain Weiner Glass Art Educational Foundation (KBW Foundation) held its second annual Glass Experience Madison (GEM) event at the world-famous Vinery Stained Glass Studio in Madison, Wisconsin. A star-studded lineup of instructors, incredible staff, and generous volunteers worked together to make the event a huge success. Nancy Gong is an artist whose endless curiosity makes her yearn to test boundaries in order to move each project beyond what she knows well or has done before. For Gong, the creative process involves identifying an artistic problem and choosing an approach and medium to best advance its solution. The 2017 Stained Glass Association of America Summer Conference was held in Raleigh, North Carolina, marking its 108th meeting. The focus, Conversations and Education with Out Fellows, witnessed a record number who signed up for classes and stepped up to throw themselves into learning and bettering their process of working in glass.